I lived in West Africa for a while and there were many circumstances where I couldn’t pull out my camera but no one minded when I fired up my pens and pencils. My skills weren’t that amazing at that time but once I have a bit more experience with watercolours or maybe gouache, I am hoping to travel again for a month and fill up an entire sketchbook. 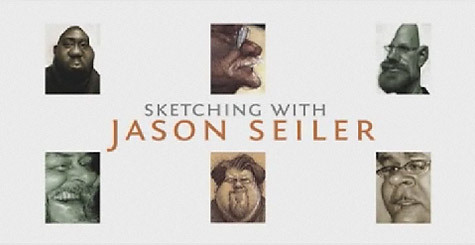 There are thousands of free sketching videos on Youtube but they are always too short or not exactly what I am looking for so $25 for looking over Jason’s shoulder and listening to his process is a bargain. 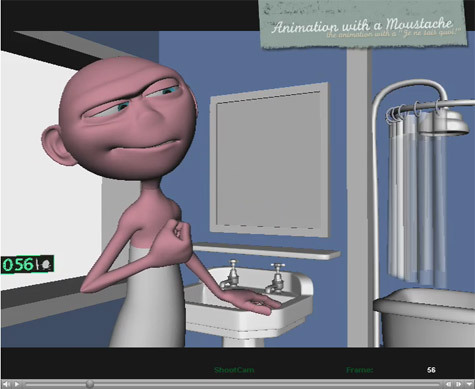 It is also a great introduction to the great training Schoolism is offering. The video is a bit less that 2 hours long and you see him sketching in the street and at his desk, demonstrating the importance of breaking down the subject into simpler forms and shapes, thumbnailling, crosshatching, digitally painting on a TabletPC, ballpoint sketching and applying watercolours. On a minor note, each artist has their own style and I prefer cleaner lines to the more fiddly Jason uses when sketching, in the watercolours section he didn’t really explain his thought process and how he selected his colours however, I would still highly recommend watching those videos if you are trying to develop your sketching abilities. You will probably need to register to access the website but don’t worry it is really quick. Look what I just found on the “Lines and colors” website. There is only a trailer at the moment but check out that that gorgeous looking short film with a very appealing painterly rendering. You will also find some nice pastel colorscript thumbnails. I thought it was a StudioAKA production at first but it is not. For the past few years some new animation schools have emerged in France and competing with worldwide famous Gobelins and Supinfocom. Among them is the ESMA, a school based in the south of France. Here is a shortfilm you probably missed last year: Oedipe. Ok it is a student film and the animation is not quite in par with Dreamworks or Pixar but the production values are very, very impressive and unlike other french student short films it is not just about wild chases, there is also a fair amount of acting so it is interesting they still felt the need to make fun of Gobelin’s 2009 Oscar nominated Oktapodi in one of the shot. It was quite unnecessary but well, this probably tells about the fierce competition between the different french schools. 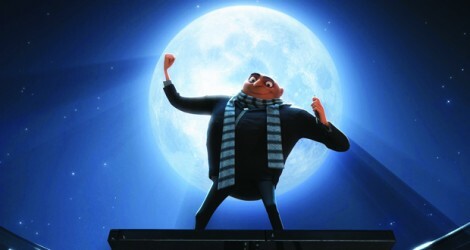 Uploaded by Esma-Movie. 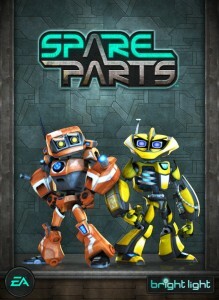 – Watch feature films and entire TV shows. You want to be a rigger huh! Probably the best 30 minutes of procrastination you will spend this week. Very interesting talk by quirky Carnegie Mellon University Professor, Jesse Schell on the unexpected success of Facebook and other products. What about getting an Xbox achievement brushing your teeth or being on time at work? With comedic timing, Jesse Schell demonstrate the power of External Rewards. and on the same topic, check the official EpicMix website and the related Kotaku article. Friday was my last day at EA Brightlight and I received some really really cool presents! 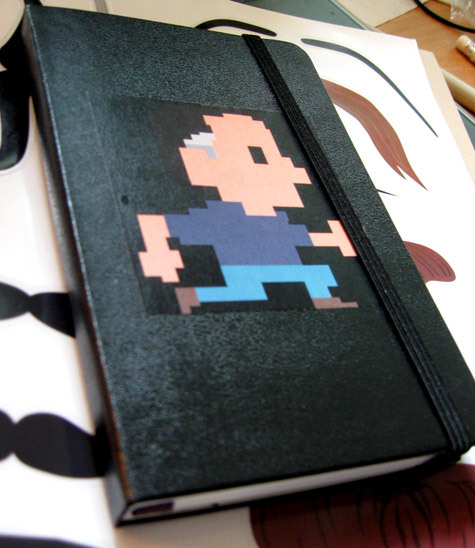 One of them was a Moleskine sketchbook with an 8 Bit version of me on the cover, an original “Spare Parts” drawing by Ross our concept artist extraordinaire and nice words from my teammates inside. My time at EA had been really good. 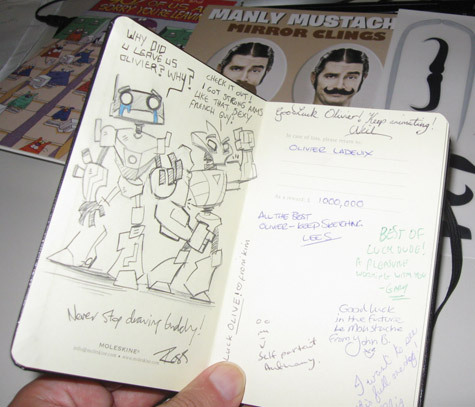 After a great experience in Angouleme and 2minutes last year, I wasn’t too keen on coming back to the UK and the insane cost of housing but working on “Spare Parts” and moving to Guildford was one of the best things that could have happened to me. I have met some incredible artists and improved my skills tremendously. 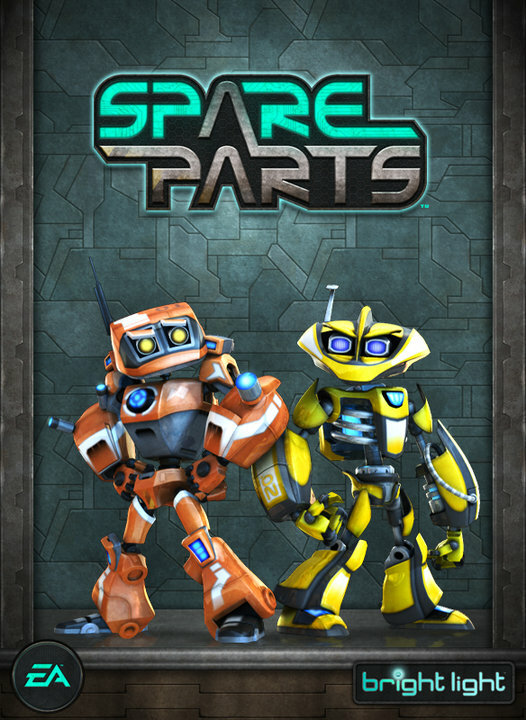 “Spare Parts” comes out this winter and you should definitely keep an eye on it, at around $10 it is one of those must buy games for the whole family to enjoy. Thanks you EA Brightlight and my team for such an awesome experience! While polishing the spine of Bishop in that shot I realised that I had completely lost the original acting idea and I would probably be better off restarting from scratch but I still think it is still worth posting it. so we have a new gameplay trailer, a poster and a Facebook page! ah I wish you could see the cutscenes…..